A recently released animated video produced by the North Atlantic Treaty Organisation (NATO) depicts the body as being resolutely involved in what the video describes as the “international fight against terrorism”. The irony, however, is that NATO has a history of perpetuating terror in order to achieve the objectives of its political masters. How can one not react with cynicism to NATO’s claim to “fight terrorism everyday” when its actions in attacking Iraq in 2003 and Libya in 2011 have facilitated the creation and sustaining of Islamist terror organisations? The occupation of post-war Iraq led to an insurgency by malcontents from the Sunni community, who felt deprived of the power and privileges they had held during the rule of Saddam Hussein’s Ba’athist Party. It is from the initial rebellion that the seeds of future Islamist terror groups such as al-Qaeda in Iraq (AQI) and the Islamic State (IS) were sown. NATO’s strategic bombing of Libya’s infrastructure and its armed forces was done with the specific aim of overthrowing the secular government of Colonel Muammar Gaddafi. These actions were in support of a rebellion by Islamist groups, the most notable at the time being the al-Qaeda-affiliated Libyan Islamic Fighting Group (LIFG). In fact, it was revealed that British Special Forces trained these rebels and were embedded with their brigades. The result was not only the entrenchment of Islamist-friendly militias in what had previously been hostile territory for such groups, but also that Libya became the repository of battle-hardened jihadis who transferred their expertise to Syria where NATO countries were also trying to engineer the overthrow of the secular government of Bashar al-Assad. What is more, sizeable quantities of the munitions depots of the fallen Libyan army have got into the hands of Islamist groups active in North Africa such as al-Qaeda in the Islamic Maghreb (AQIM) and further south, in West Africa, where Boko Haram continues to wreak havoc in Nigeria and Cameroon. NATO has not only created the conditions for terrorism to flourish, member states have actively utilised Islamist groups as proxies in pursuit of the geopolitical goals of the Western alliance. The aforementioned training of members of the LIFG by British Special Forces is not the only documented interaction between the armed forces of NATO members and Islamist groups. The Turkish High Command was involved in setting up training camps for rebels, and enabling their infiltration of Syria. In March 2013, the British Guardian newspaper reported that British, French and American military officers were giving rebels what it termed “logistical and other advice in some form”. The truth is that NATO has a troubling historical connection to terrorism. 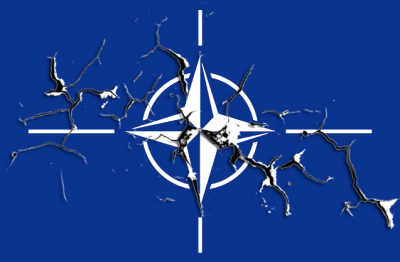 NATO, to this day, refuses to give a full or even partial disclosure of its role in managing the stay-behind networks in its member states, and the role they allegedly played in fomenting terror as a means of discrediting the political Left during the Cold War era. For instance, an Italian investigating judge named Felice Casson was able to link the bomb which exploded and killed three Carabinieri in Peteano in 1972 to military-grade munitions (C4), only available to NATO, discovered at an arms dump created for the Italian stay-behind. The stay-behinds were groups of secret soldiers who were tasked with the role of fighting occupying troops of the Soviet Union and its Warsaw Pact allies in the event of an invasion of Western Europe. The networks were supervised by the Allied Clandestine Committee (ACC) of NATO’s Supreme Headquarters Allied Powers Europe (SHAPE). In Italy, the secret army was known by the code-name ‘Gladio’. It is widely believed in Italy that Gladio was used to facilitate many key terroristic outrages during the anni di piombo (Years of Lead), which lasted roughly from the late 1960s to the early 1980s. The idea was to forestall the coming to power of the Italian communists and other Leftists who were gaining a significant amount of electoral support. This, it was reckoned, could be achieved by putting in place a strategy of tension, that is, creating the conditions where terror outrages, carried out by state-aided neo-fascist groups, would be blamed on the Left, and the resultant high level of fear and outrage on the part of the population would lead to widespread calls for the firm rule of a Right-wing government. This modus operandi as applied in the Peteano attack involved using Vincenzo Vinciguerra of the neo-fascist Ordine Nuovo to plant the bomb, and then calling on the services of Marco Morin, an explosives expert for the Italian police, who forged a report which asserted that the explosive was of a kind traditionally used by Brigate Rosse, Italy’s foremost Left-wing terror group. Morin, was also a member of Ordine Nuovo. The true origin of the bomb used for the Peteano outrage, Judge Casson later discovered, was from a Gladio arms dump hidden beneath a cemetery near Verona. They were military grade C4 plastic explosives used by NATO. It should also be noted that Gladio’s commander at the time of the incident, General Geraldo Serravalle, would later testify to an irregularity at another munitions dump near the city of Trieste. Gladio had logged seven containers of C4, but when the Carabinieri had stumbled upon a cache of weapons there in February 1972 -two months before the Peteano incident- there were just four containers left. At the time of the Trieste discovery, the police had assumed that they had stumbled across an arms cache owned by a criminal syndicate. The connection to Gladio was not discovered until Casson’s investigation. The terrorist line was followed by camouflaged people, people belonging to the security apparatus, or those linked to the state apparatus through rapport or collaboration. I say that every single outrage that followed from 1969 fitted into a single, organised matrix… Avanguardia Nazionale, like Ordine Nuovo, were being mobilised into battle as part of an anti-communist strategy originating not with organisations deviant from the institutions of power, but from within the state itself, and specifically from within the ambit of the state’s relations within the Atlantic Alliance. Although General Paolo Inzerilli, the head of Italy’s secret service would announce in the latter part of 1990 that Gladio had been disbanded, there is no evidence that this was ever done, or that it was simply transformed into a new model of Special Forces irregulars. Meanwhile, the communist enemy has been replaced by an Islamic one, and it would not be unreasonable to consider whether Gladio-type units are active in fomenting outrages which give the politicians from NATO countries the excuse to sanction military interventions in Middle Eastern countries, as well to pass legislation of the sort that has been gradually eroding civil liberties since the beginning of the so-called ‘War on Terror’. It is while bearing these historical and contemporary events in mind that one pauses to reflect on NATO’s fight against terrorism. Its motto, Animus in consulendo liber, Latin for “A mind unfettered in deliberation” could arguably be more fittingly expressed as “A mind unrestrained by diabolical conspiracies”.